India just does not have the option of ignoring the BRI now. 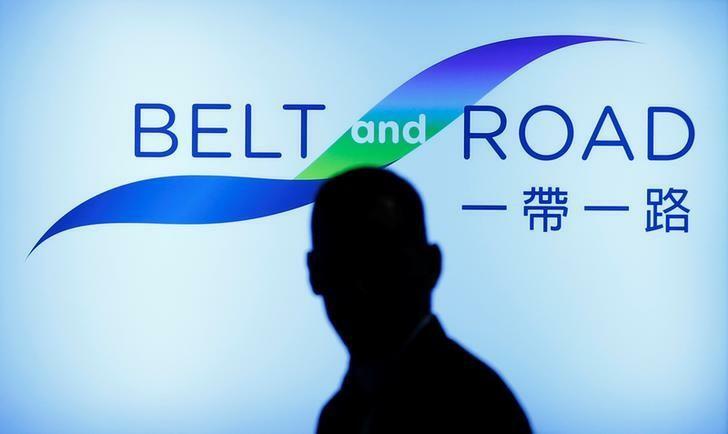 Two years ago, I had written a detailed comment on the “One Belt, One Road” proposal, projected by Chinese President Xi Jinping in 2013 as a series of logistical connectivity projects across the Eurasian landmass and the Indian Ocean. While India had even then expressed misgivings about certain aspects of the proposal, it has, over the past year, emerged as a fierce opponent. So much so that the Indian media has begun to view this opposition as part of the larger divide between India and China – on par with the border dispute, concerns relating to China’s increasing influence in South Asia and the burgeoning naval competition in the Indian Ocean. Even regarding India’s participation in the summit of the Shanghai Cooperation Organisation (SCO) in Qingdao, the headline story in the Indian media was that India had been the sole SCO member not to support the proposal in the joint statement. In fact, developments relating to the connectivity proposal since it was first proposed necessitate that India take a fresh look at it. The principal developments over the last five years are the following. 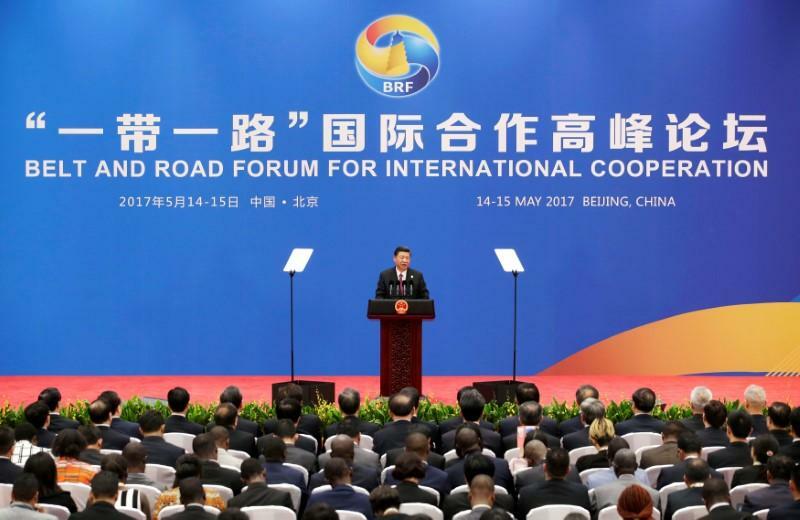 One, the proposal has a new name: OBOR has officially become the “Belt and Road Initiative” (BRI). This is to correct the impression in some quarters that the proposal envisaged a single linear connection across Eurasia and the Indian Ocean. It has now been clarified that BRI will be “a network of regional cooperation and systematic projects of global significance” that will embrace 65 countries. Linked with this is the clarification that the proposal is not a vision, programme or strategy; it is an ‘initiative’, focusing on “shared growth through discussion and collaboration”. Two, BRI is now “much more than just investment and infrastructure projects”: BRI is part of “Xi Jinping Thought on Socialism with Chinese Characteristics for a New Era” and is included in the Communist Party of China’s constitution. Three, there is now greater clarity about the projects included in BRI. Apart from the Asia-Europe land and sea ‘silk’ routes, six economic corridors are envisaged: China-Mongolia-Russia; the ‘New Eurasian Land Bridge’, a 10,000 km rail link from China to Rotterdam; the China-Central Asia-West Asia-Economic Corridor, replicating the ancient Silk Road; the China-Indo China Peninsula Economic Corridor; the China-Pakistan Economic Corridor, and the earlier Bangladesh-China-India-Myanmar Economic Corridor. 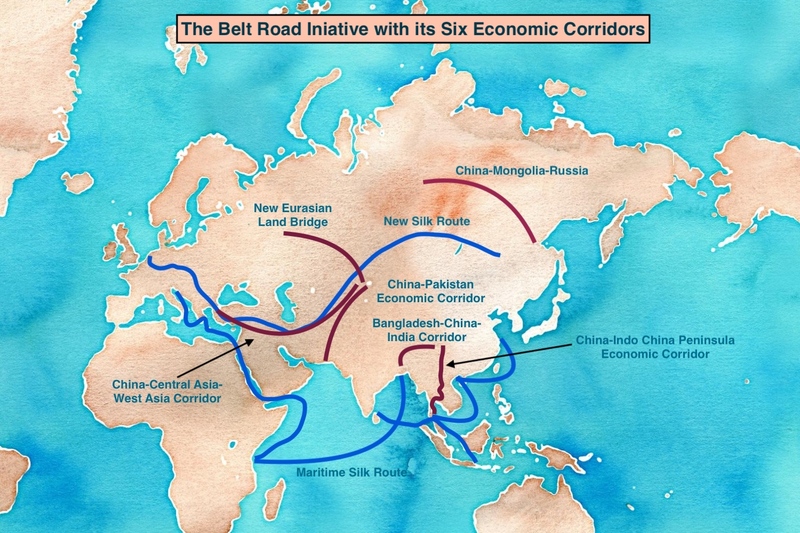 Four, BRI now also includes digital connectivity, the “Digital Silk Road”. This envisages “innovation action plans for e-commerce, digital economy, smart cities and science and technology parks”. Finally, China has mounted a major effort to promote the initiative in the international community. Besides the “Silk Road Summit for International Cooperation” organised in China in May 2017, which was attended by over 60 countries (excluding India), China has reached out to the European Union, the ASEAN and SCO members and West Asian countries. 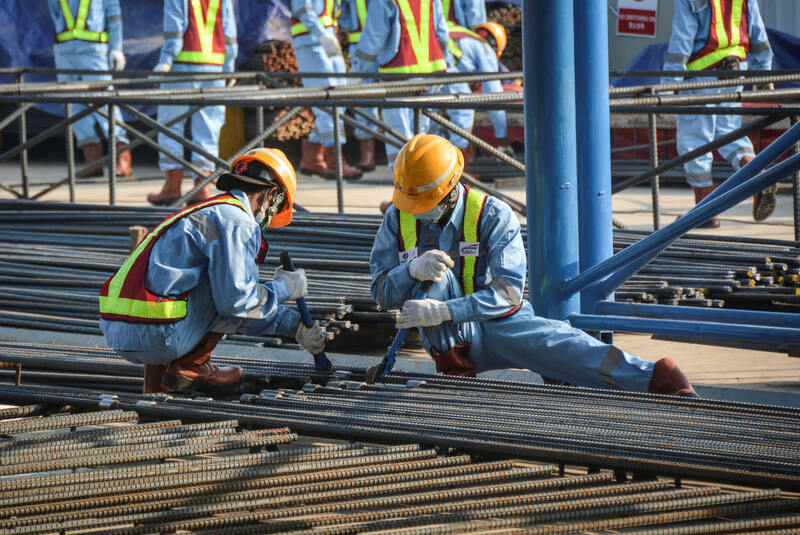 In respect of the latter, it has entered into BRI-related construction agreements with six Arab countries, and has obtained affirmations of support for BRI from Saudi Arabia, Kuwait, the UAE and Oman. Chinese sources have clarified that these “economic corridors” will not be straight-line linkages across Eurasia; instead, there will be numerous loops and branches so that no part of Asia or Europe will be excluded from the initiative. There is also no final blueprint encompassing all the projects: Christina Lin has pointed out that the BRI is “a very broad, flexible and inclusive framework for cooperation” that is sufficiently “vague and fluid” for different projects to be included under the BRI umbrella. Though there been have questions raised in certain quarters about the technical and financial viability of some of the projects and even concerns that some of the poorer nations might find themselves in a debt trap, overall there is considerable international support for the BRI. Most national leaders and commentators welcome the proposed logistical connectivity projects and note that there is considerable flexibility both regarding the specific projects envisaged under BRI and the level of partnership that will be inevitable in the implementation of these projects. Chinese sources have agreed that all projects will have to be part of national development plans of different countries and will be the result of partners working together; BRI, they say, is not “a solo, but a symphony performed by all relevant countries”. While BRI is clearly a Chinese initiative and very important for the projection of China’s achievements as a modern state that is influential in world affairs, it is not an exclusively Chinese enterprise: over 900 different projects will come under the BRI umbrella, which will require the active mobilisation of technology, management and human resources on a global basis. Above all, the cost of the projects taken together is estimated at over $1 trillion. Even with the maximum deployment of Chinese financing, it is believed that China will provide about $300 billion by 2030, i.e., just a third of the required funding; the balance will have to come from other national, regional and international sources, such as the World Bank, the Asian Development Bank, the European Bank for Reconstruction and Development, and regional fora like the SCO, China-Arab States Cooperation Forum etc. All these institutions will insist on the application of their own norms and rules to ensure transparency and viability. Thus, in their implementation, BRI projects will be multi-national, even global, in character. India has two sets of objections to BRI: one, objections to various aspects of the China-Pakistan Economic Corridor (CPEC), and, two, concerns resulting from the view that BRI is effectively the projection of China’s geopolitical interests, particularly in the Indian Ocean. The CPEC, finalised in April 2015 with 51 agreements, consists of a series of highway, railway and energy projects, emanating from the newly developed port of Gwadar on the Arabian Sea, all of which taken together will be valued at about $50 billion. These projects will generate about a million jobs in Pakistan and, when completed, add nearly 2.5% to the country’s GDP. Gwadar will be developed as a deep-water port capable of handling 300-400 million tonnes of cargo per year. A new 1,100-km motorway from Karachi to Lahore will be completed, while the Karakoram Highway from Rawalpindi to the Chinese border will be broadened and upgraded. Railway lines across the country will be thoroughly upgraded and expanded, with the road and railway network reaching Kashgar in Xinjiang. Oil and gas pipelines will be constructed, including a gas pipeline from Gwadar to Nawabshah, carrying gas from Iran. Most of the money will be spent on energy projects – about 10,400 MW of electricity will be generated between 2018 and 2020, besides renewable energy, coal and liquefied natural gas projects. An 800-km optic fibre link to boost telecommunications in the Gilgit-Baltistan region is already under construction. These projects will promote national economic development through industrial parks and special economic zones. Chinese spokespersons have justified CPEC as an energy and transportation development initiative to lift the Pakistani people out of poverty and give them an open and better life. CPEC, they argue, serves the common interests of regional countries since it addresses “both the symptoms and root causes of terrorism and extremism”, which are in tune with India’s interests as well. However, India sees CPEC as a challenge to its sovereignty since, by upgrading the Karakoram highway in the Gilgit-Baltistan region, it affirms China’s support for Pakistan’s illegal occupation of this part of Jammu and Kashmir state that is claimed by India and is referred to as “Pakistan-occupied Kashmir” (PoK) in all Indian official documentation. By not discussing CPEC with India and officially announcing the initiative as a “China-Pakistan” project, China is also seen as making no effort to accommodate India’s interests in this major enterprise. Again, India also views China’s presence at Gwadar at the mouth of the Gulf as indicative of its long-term presence in the Indian Ocean, that India sees as an encroachment on its strategic space. India’s concerns relating to CPEC appear to be misplaced. One, it is in India’s interest for China to invest in Pakistan and hopefully wean the country’s youth away from extremism. Again, while it would have been desirable for China to have consulted India regarding the CPEC activity in PoK, the fact remains that the final status of this disputed area will be ultimately decided between India and Pakistan when the moment is propitious; thus, improvement or expansion of existing logistical facilities in PoK does not in any way weaken India’s long-standing and legitimate claims. In any case, China in the interim seems willing to address India’s immediate sensitivities: in April 2017, Chinese diplomat Liu Jinsong, in his public remarks at the BRI conference in Mumbai, addressed the issue of projects in PoK by referring to China’s 1963 agreement with Pakistan, on the basis of which the Karakoram highway was constructed. Here, China had recognised PoK as disputed and had affirmed China’s willingness to “reopen negotiations” with the “sovereign authority” once the Kashmir dispute had been settled. Again, in remarks at a closed-door discussion at an Indian think-tank, the Chinese ambassador went further and said that to win India’s backing for BRI, China could even consider changing the name of the CPEC to one acceptable to India. Expanding Chinese naval presence in the Indian Ocean is of serious concern to India and merits detailed consideration. The Indian Ocean is important for the economic interests of all the countries that make up its littoral. India is at the centre of the ocean: it has a coastline of 7,500 km, 1,200 islands, 13 major ports and an exclusive economic zone of 2.4 million square miles; 90% of its exports are sea-borne, as are all its energy imports from the Gulf and Africa. About 10-15% of its population lives on its coastal regions and depends on fishing. Today, out of about $800 billion of India’s total annual foreign trade, 95% of trade by volume and 68% by value moves through the Indian Ocean. India’s sea dependence on oil imports is about 80%, along with 60% of its gas imports as LNG. Besides this, India is a major exporter of refined oil products, which account for 20% of its exports, primarily by sea. India is now also an important importer of coal, with imports accounting for 25% of its total consumption. India also depends on the ocean’s fish resources: its fishing and aquaculture industry employs 14 million people, placing India at the number six position globally in terms of fish-catching. India is also a major exporter of marine products, valued at about $2.5 billion annually. The country is a pioneer in deep-sea mining: in 1987, it received exclusive rights to explore four million square miles of two mining sites, and later in 2014 it obtained licenses to explore the Indian Ocean ridge, which is believed to be rich in cobalt, nickel and copper. China too has a deep interest in Indian Ocean security, since 90% of its foreign trade and 80% of its oil imports are sea-borne. It has a special interest in ensuring that the Straits of Hormuz and Malacca remain open to maritime movements, without threat from pirates or hostile action from regional or external powers. The Chinese foreign minister, Wang Yi, has said that the BRI is “not a tool of geopolitics”. A commentator, Liu Zongyi, has asserted categorically that that the BRI “is a geo-economic cooperative design, and not a geo-political or geo-strategic one”. Another commentator, Minghao Zhao, has written that China is seeking to move from “politics among nations” to “politics among networks” and is focusing on “connectivity” rather than “control”. Many Indian commentators are not convinced. Naval commentator Gopal Suri points out that Chinese investment in the development of new ports all along the Indian Ocean littoral, in Myanmar, Bangladesh, Sri Lanka, Pakistan and the East Africa coast, coupled with the establishment of its first naval base abroad at Djibouti, affirm the Chinese navy’s “clear strategic focus on establishment of a permanent presence in the Indian Ocean Region (IOR) in the not too distant future”. China clearly has legitimate interests in the Indian Ocean, whose security is as important for its well-being as it is for India. As China expands in naval power and political influence, it would be futile to imagine that it can be excluded from this space of such crucial significance. The challenge before India is to ensure that its own interests are safeguarded. Here, it is noteworthy that India has responded effectively to China’s Indian Ocean forays. Modi announced in 2014 that maritime security would a priority concern for his government. This has given a great boost to the domestic ship-building industry which is presently building 40 naval vessels. India has also augmented its naval capabilities by acquiring the aircraft carrier, Vikramaditya, MiG29K aircraft, the Chakra nuclear-powered attack submarine, the indigenous construction of Kolkata class destroyers, Talwar and Shivalik class frigates, anti-submarine warfare ships, and Sumitra class offshore patrol boats, together with a wide variety of landing ships. India’s proactive approach has also included substantial prime ministerial engagements with the island nations of the Indian Ocean littoral. Thus, Gwadar is hardly the threat it is perceived to be in sections of Indian opinion: India is well-placed at Chabahar, just 80 km away; it also has close ties with Oman and enjoys access to Omani ports on the Indian Ocean coast and to other important ports in the IOR. To face the Chinese challenge, India has also increased its cooperation with regional and extra-regional naval powers, since the forays of the Chinese navy into the Indian Ocean and the consolidation of China’s naval presence through a string of bases and facilities across the ocean are a matter of legitimate concern not just for India but for several countries in the Indian Ocean littoral. This has been achieved through deeper defence cooperation with the US and increased naval cooperation with Japan, Australia and Indonesia. These are loose arrangements and do not constitute “alliances”, but they can be quickly upgraded if the need arises. Thus, what was widely seen as China’s aggressive posturing has provided its own solution: India has obtained insurance for the defence of its interests through “external balancing”, i.e., described by commentator S. Kalyanaraman as “the forging of cooperation with one state to deter or defeat a threat posed by another”. Engagements among the principal Indian Ocean players indicate that a strategic balance has now been established in the region, with the US and its allies, India, Japan and Australia, able to set limits on China’s ambitions. Thus, while China has remained firm and unyielding with respect to its claims and interests in the West Pacific, clear reality checks in the Indian Ocean in terms of the opposition it faces have made it both conciliatory and cooperative in its overtures to the major regional countries, which it now seeks as partners in the pursuit of its ocean-wide land and sea projects that are part of BRI. India is the most important country among those wooed by China. Chinese writings have frequently confirmed this. Tingyi Wang of Tshingua University, while noting that Chinese officials have highlighted “the special importance of India” in the initiative due to its location at the intersection of both the land and sea routes envisaged in BRI, has pointed out that India had “apprehensions”, particularly due to the CPEC. He denies that China has either the interest or the capability to contain India, and instead sees a relationship of both cooperation and competition between the two countries in the Gulf in the areas of energy security, economic ties and shaping the regional security framework, which would over time “unfold a wider geo-economic transformation in Asia and the Indo-Pacific region”. Sun Yang has written that, given the US-led alliance ranged against it in the Indo-Pacific environment, for China “cooperating with India appears to be the only way to change the situation and make a breakthrough”. He then makes two points to support his proposition: one, that India will not be able to prevent the Chinese presence in the Indian Ocean region, and, two, “India’s status and foreign policy strategy would never allow it to become a firm follower of the United States”. On similar lines, Ouyang Guoxing has argued that, considering India’s geo-strategic location and its political and military supremacy in the region, the Chinese navy “will not become a predominant threat to India in the next decades” and will remain focused on the Western Pacific rather than the Indian Ocean. 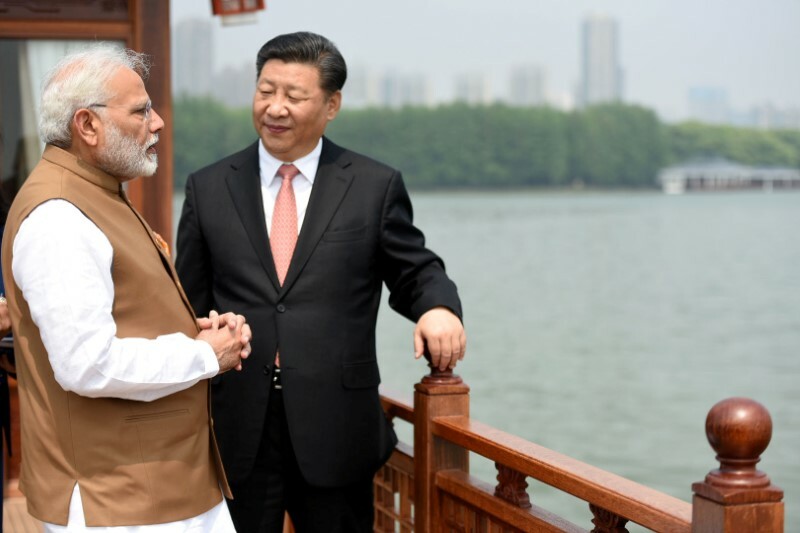 He recognises the need for India and China to find ways to promote maritime security dialogue, commencing with non-sensitive areas and then moving towards military security cooperation gradually. Mao Jikang sees India as the “key factor [for] the implementation of OBOR [now BRI] initiative in South Asia”, and recommends that China do more to win Indian support for the initiative through addressing India’s concerns relating to China’s hegemonic interests in the region by working more closely with India in executing joint projects and linking the BRI with India’s own IOR projects, and vigorously pursuing maritime security cooperation with India on the basis of the shared interest in the security of the international sea-lanes. Given BRI’s scope, dimensions and the financial and other resources required to realise its various projects, it is not and cannot be an exclusive Chinese enterprise, even though China’s leaders may view the concept as reflecting their countries emergence on the world stage. BRI is truly global in character and needs the willing participation of several nations for it to take shape. Again, China is not the only nation seeking a new role in international affairs; several nations such as Japan, Korea, India, Iran, Saudi Arabia and Indonesia are also part of the Asian resurgence. These changes in world order, while reflective of national economic achievement, also throw up fresh challenges as these nations compete to define their role and occupy their legitimate space in the new order. This scenario calls for mutual accommodation based on engagement, consultation, confidence-building and shaping of consensus, not confrontation and pursuit of hegemony. In the emerging world order, China and India, as major players sharing the broad strategic space in Eurasia and the Indian Ocean, are likely to have both competitive and convergent interests. It will be the principal challenge before the leaders and diplomats of the two countries to enhance cooperation and address areas of dispute. The discussion above has shown that on to the Indian Ocean, India has responded effectively to perceived encroachments from China and a strategic balance of power has been put in place. This, in my view, has opened opportunities for India to review certain of its positions which were adopted when misgivings and differences were at their height. BRI is one such matter that calls for a fresh look. The land and oceanic connectivity envisaged by BRI has the capacity to change global linkages in ways that are as dramatic as the age of exploration in the 15th and 16th centuries and the Industrial revolution in the 19th century. The Portuguese academic, minister and travel writer, Bruno Maçães, has noted in his new book, The Dawn of Eurasia, that once these projects have been completed, “we’ll no longer have Europe on one side and Asia on the other, but one single continent, increasingly inter-connected”. India was central to the transactions of the ancient silk and spice routes, and was the cherished destination of the earlier voyages of exploration and commerce. India just does not have the option of ignoring the BRI now. Like all major initiatives, BRI has several shortcomings, but with consultations these can be effectively addressed. Given widespread international support, many BRI projects are already underway; some have even been completed. India will be a major beneficiary of these linkages, particularly when it melds its own proposals from Chabahar with the other Eurasian projects. Only through participation can India ensure that its interests are safeguarded: sulking on the sidelines is not an option in areas that are so crucial for India’s interests. India has secured its security interests in the Indian Ocean through some adroit moves at home and in the littoral, and with engagements with extra-regional powers; it must now serve its long-term economic and political interests by being actively involved in the ocean’s connectivity proposals and in addressing the region’s security issues, particularly in West Asia. India’s membership of BRICS, the SCO and the Indian Ocean Rim Association and its robust engagements with Russia and China provide the opportunity for India to be a substantial player in defining and shaping the new world order. 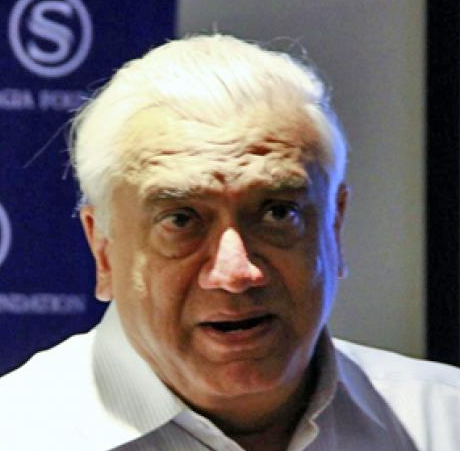 Talmiz Ahmad, a former diplomat, holds the Ram Sathe Chair for International Studies, Symbiosis International University, Pune, and is Consulting Editor, The Wire.